I was looking at the cards from last week's sketch and loved the techinique Dawn Montgano used on her card which was faux tile technique. Doing a little research I found out how to do the technique and thought it would be great for this week's sketch. I scored the cardstock first and then stamped with the Pirouette stamp in Indian Corn Blue Ink. Using a mask I inked the edges of the tile with a Finger Dauber and Indian Corn Blue Ink. Matting it in Outdoor Denim seemed to make the tiling pop even more! 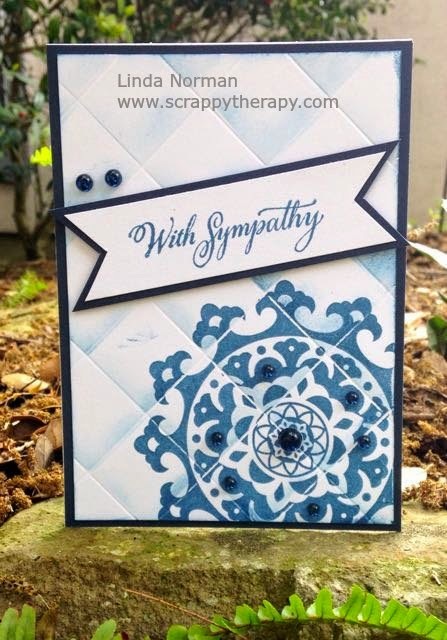 I stamped the With Sympathy from the Sincere Expressions stamp set in Indian Corn Blue and layered it with Outdoor Denim. For a little extra pop I added Blue and Green Epoxy Bubbles! Be sure to check out all the Design Team creations at the Atlantic Hearts Sketch Challenge tomorrow and join the challenge too! I would love to hear what you think, so leave me some love! 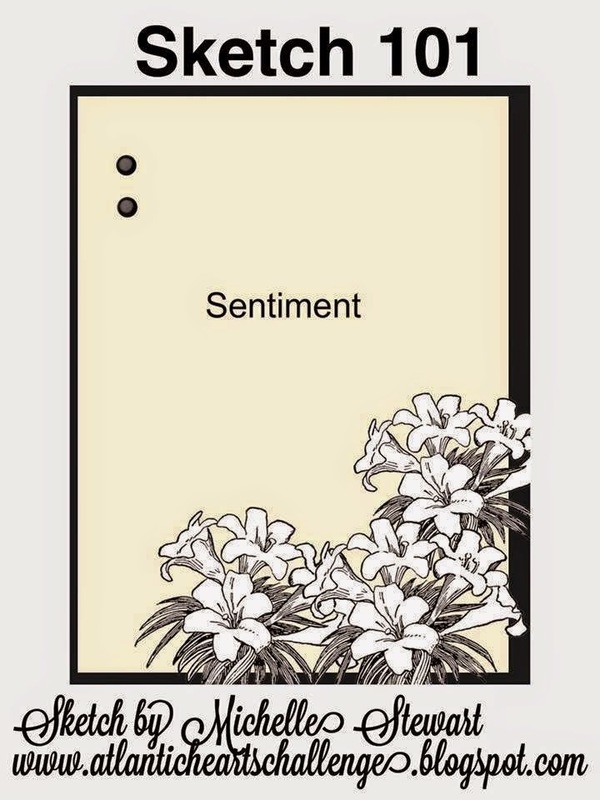 I always struggle making this kind of card. You put it together very tastefully. Very nice. Great card! Love this technique, will definitely have to try it soon!